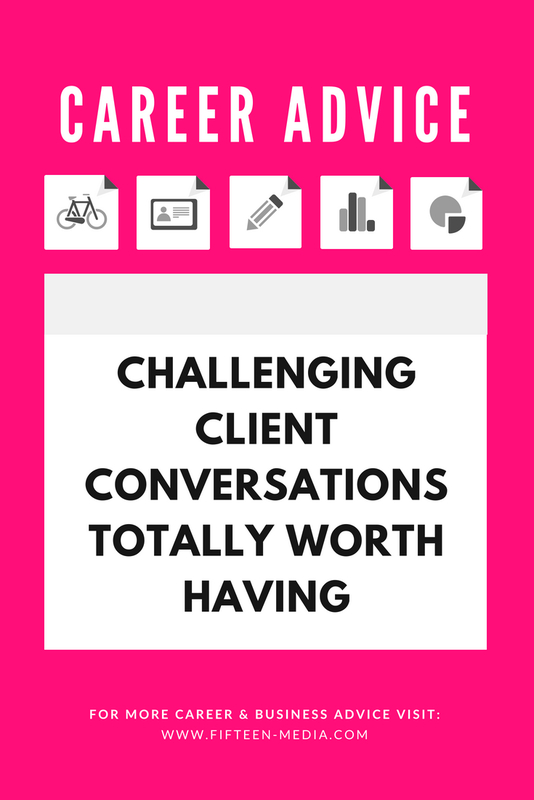 Setting boundaries with clients can be challenging. Eager to keep clients happy, a lot of freelancers resort to always saying “Yes” when they really should be saying no. Knowing how to have a difficult but necessary conversation about boundaries will help you serve your clients better. You should be able to articulate exactly what your client can expect and then meet or exceed that expectation. This way, you will keep your client happy and boost to your reputation as a reliable professional. It just takes a little courage to start that difficult conversation. Here are five challenging conversations you should be ready to have. Every so often, a client will ask you to do something you don’t actually do. It is in your interest to say it right away, “I don’t offer that service.” This way, there are no surprises. The client will know if you are a good fit for the job and when they do hire you, they’ll know exactly what to expect. Freelancers who do anything marketing-related are extremely susceptible to this. A social media manager might be asked to write a blog post. A content writer might be asked to create graphics. A graphic designer will be asked to manage a social media account. It’s great when you offer those services. But if it’s out of your area of expertise, you need to be able to turn that work down. Your reputation depends on it. If you want to deliver quality work, only agree to the work you know you can do well. Communication policies don’t have to be formal, but you should have one. In some industries, it’s normal to return emails or calls within a few hours. In other industries, it’s acceptable to answer within a week. The problem is when your clients are not sure what to expect. By telling your clients “You can expect a response from me within this timeframe” they can rest assured that you will get back to them and you can rest assured you have enough time to give them a thoughtful response. Another temptation is to promise ASAP service. It sounds good in theory, but in reality, it means you won’t have enough time to do a good job. Be prepared to tell your client “The project will be completed in a reasonable amount of time” and be clear when that time is. The client expects professional work if you finish today or a year from now. Think about how much time it will take you to get to that point and add in a buffer for unpredictable events like catching a cold. Clients will be happy when you deliver on time or early. It’s all about setting expectations. Only agree to a deadline that you are sure you meet. Doing your best work requires focus. But focusing is hard. If you are constantly answering client calls and taking meetings all day every day, when will you be able to give them your best work? If you have a client that is constantly calling you, try to schedule a weekly status call at the same time every week. This way they know there will be an allotted time to go over everything, and you can plan accordingly. The same goes for taking client meetings that interrupt your workflow. Rather than being available all the time, schedule when you will touch base with a client. Because both of you have set this time aside, you will be more focused on the topic at hand. You’ll have more control over your schedule, and you can schedule long chunks of interrupted time to focus on your work. Hopefully, you are taking on challenging work. Sometimes, you will get stuck. Go into this conversation with a firm understanding of what the problem is and how it can be fixed. Just the process of figuring that out might help you resolve the issue on your own. And if not, you’re at least on a path forward. The client ultimately just wants to be in the loop and will usually help you find the resources you need to complete the project. After all, it is in their interest for the project to be done well. Even if it seems like you are doing less for your clients, remember that setting boundaries is the only way to do more for them. It’s counterintuitive to an extent. How can say “No” make the client like you more? But when you say no to habits that are not good for business, you leave more room for doing good business.